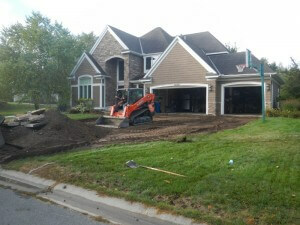 Yukon is home to several excavation contractors for concrete work and yard drainage solutions, yet we at Bill’s Custom Concrete and Yard Drainage have a great reputation among our customers with thousands of projects that required excavation. We have completed thousands of concrete and yard drainage projects over the 37 years that we have been in business that have required expert excavation contracting to make sure they are done properly. 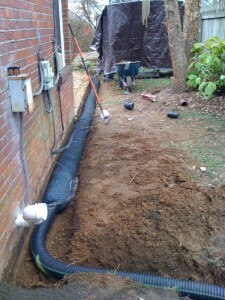 In concrete work, excavation is an important process. It helps us create proper slopes for any concrete structure and also bases for concrete driveways or patios. Slopes are extremely vital as they help in draining water effectively and efficiently from concrete structures. Grading your landscape properly before completing the concrete project is vital to making sure that water drains to the right area. Not only do we avoid problems with flooding, but we also make sure that your concrete structure will not be damaged by the improper flow of water. This requires precision planning and work to avoid any potential problems with heavy rains and flash flooding that can occur from time to time. Based on the thousands of projects that we have done over the years and going by what our customers tell us, I am delighted to say that we are able to offer precision quality for our customers at a reasonable cost. Don’t let your Yukon home or business be subject to an excavation contractor that doesn’t have the experience that we do. Call us today at (405)755-3975 for any of your excavation needs in Yukon, Oklahoma.